Last week was my first week back at work after the kids being off for the summer. I must admit, it felt a bit of a struggle at times. As well as working, I did a lot of walking last week, it felt really good to get outside with Buddy, to clear my head and enjoy the quiet. With all the walks and pottering around at home, I've clocked up 44 miles. Checking the week before, it was 40 miles, so I'm more than a little pleased with that. 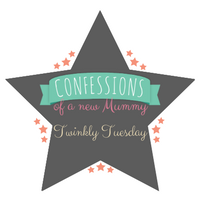 Onto this week's Tuesday Twinkler and I've chosen a post that ignited a ranty response from me. Mummy Here and There shared a post about her sons and their decisions to wear dresses for school. I think its wonderful that her children are confident in themselves to decide what they want to wear, even if they might receive some comments for it because unfortunately, that is was some people do. And I also think its wonderful that Mummy Here and There lets them do just that without putting a label on anything (e.g. dresses are for girls). Wearing a dress, they are causing no harm, just dressing how they wish to and yet some people take offence at it. Nothing annoys me more than the whole debate about certain toys and clothes are for boys or girls. Who cares! Let them wear and play with whatever the hell they want! What does it matter what someone is wearing? Pop on over to see what Mummy Here and There has to say about the matter. What are your thoughts? I also love dog-walking therapy!